Does anyone know if there is an updated list? Just asking because of what's going on in Hawaii. It seems gliders have become a very popular pet. And there are a lot of new owners out there and I'm sure this would be very helpful, not only to them but all of us. Last edited by newb; 07/28/11 04:53 PM. The first State Restrictions link has a link with all the states and which ones allow, not sure how updated it is? I found that one too. Just not sure how up to date is it any more. The date on the posting is from 2005. It is definitely not updated. 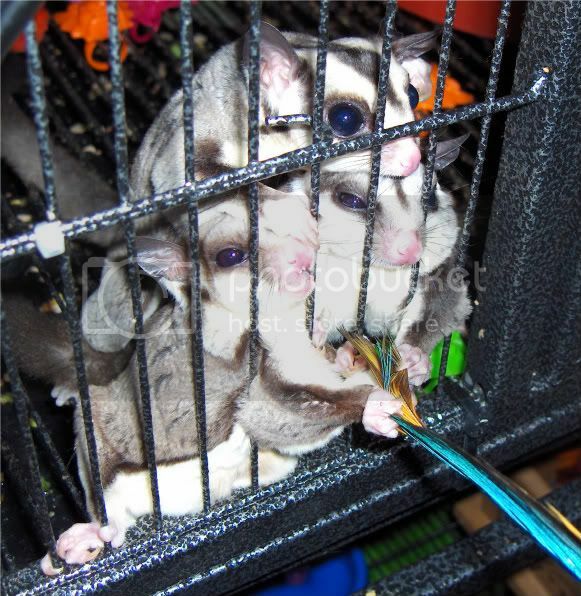 Georgia past a law allowing sugar gliders from a USDA licensed breeder this year and it is not on that link yet. This is more up to date..
Last edited by Asholi; 09/08/11 09:44 PM. You have to make sure your city has no regulations as far as exotic animals. I called the game and fish commission and the animal control in my area and both told me that as long as the state allowed it they had no problem. However they both wanted to know what a sugar glider looked like because they had never heard of or seen one.